Mary is the Founder and Director of Lighthouse Lacrosse. She is currently entering her eighth season as the head coach for Portsmouth High School Girls Lacrosse program. She has been named the NH High DII Coach of the Year twice. Portsmouth has won the Div II State Championship under Coach Squire in 2018, 2017, 2013 and 2011. In 2010, her first season as head coach, she took the team to the State Championship Game where they lost by 1 goal. In just her second season with the program, the team went undefeated on the season winning the Div II State Championship. She was formerly the lacrosse club director for Seacoast United Lacrosse Club (2008-2012). Mary was named the first Head Coach in the history of Southern New Hampshire University in the spring of 2003 and built the Penwomen into one of the top programs in the Northeast-10 Conference within her first 2 seasons. She led the team to the conference semi-finals and/or championship games from 2005-2009. Squire was named the Northeast-10 Coach of the year in 2007 & 2008 as well as womenslacrosse.com Division II Coach of the Year in 2007. Squire brings over 25 years coaching experience at all levels. 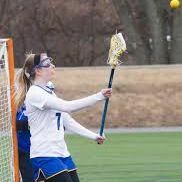 A native of Wyncote, Pa., she was a five-sport athlete at Cheltenham High and collected All-League honors in lacrosse, field hockey and swimming in both her junior and senior years. She was named All-America in field hockey as a senior and was selected for the U.S. Field Hockey futures program. She also competed at the National Field Hockey Festival from 1996-1999. She attended Temple University where she played under the direction of US Lacrosse Hall of Famer Tina Sloan-Green. She left Temple in 1992 and spent four years in the U.S. Army at Fort Bragg, NC. Squire, who is also a veteran field hockey and lacrosse official resides with her husband and two children in NH. Kayla O'Connor is in the midst of her first season with the Baltimore Brave in the Women's Professional Lacrosse League (WPLL). After graduation from Boston College, she signed Boston Storm (women's professional lacrosse team). She completed her collegiate career with a breakout senior season as a starting attacker for the Boston College Eagles. The Eagles finished the 2017 season with a heartbreaking loss in the national championship game. Kayla started at Pentucket Regional High School where she also played soccer and basketball. Here she received All-League accolades for lacrosse and soccer. Kayla completed her high school career at the Governor's Academy where she was named ISL All-League and New England Prep School All-star for the two years she was there. Her senior year she captained the team and was named U.S. Lacrosse All-American. At Gov's Kayla also competed in hockey and soccer winning two New England championships. At BC she is studying in the business school. Mike Boyle played four years of lacrosse at Pinkerton Academy in Derry, NH (Class of 1980). Coach Boyle recently graduated From Excelsior College with a Bachelors of Science in Liberal Arts. He has spent the last 30 years as an Officer in the US Army, recently retiring in the spring of 2012. He has received numerous awards for service and dedication to his country, including the Bronze Star and an Air Medal in Iraq (OIF) (2008), and an Air Medal in Afghanistan (OEF) (2011). In the civilian world Mr. Boyle (Mike) has an Airline Transport License for Helicopters and a Commercial License for Multi-engine Airplanes. He has flown for both a commercial airline and an EMS helicopter company. Mike has been coaching lacrosse in Londonderry at the youth level since 1998 and at the high school since 2008. He is currently entering his first year as the Asst Coach of Exeter HS Girls Lacrosse, and his third season with Lighthouse Lacrosse. He is familiar with the college admissions process from a coaching and parents point of view; he has two daughters (both of whom have recently gone through the college process) one who was recruited for lacrosse, and one who underwent the “normal” admission process. Coach Boyle has a realistic view of the recruiting process and can be a good resource in the search for your daughter’s higher education goals. Meghan Lewis from South Berwick, ME and is currently the starting goalie for Wheelock College in Boston where she just completed a break out Freshman year. Lewis broke the Wheelock record for saves in a season, in her college debut against Thomas College with THIRTY ONE saves. She earned NECC Rookie of the Week honors twice and has stopped 18 or more shots on five occasions. 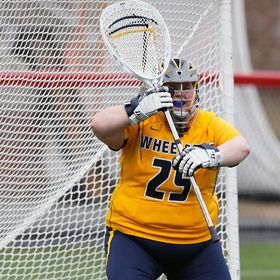 In just her first year at Wheelock, Meggie anchored the Wildcats' defense by leading the nation with a 61.2% save percentage, while topping all NCAA Division III players with 19.3 saves per game. She was #1 in all of NCAA Division III in save percentage, total saves & saves per game and she owns 6 of 7 individual goalie records at Wheelock. Meghan is majoring in Special Education & Human Developmental Psychology with a minor in Political Science at Wheelock College. 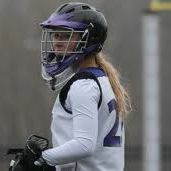 In High School Meggie was a 4 yr starting goalie for the Marshwood High School girls lacrosse team where she earned All Conference First team honors in both her Sophomore & Senior Year, Fosters Dream Team Sophomore & Senior Year, and MVP of the senior all star game in 2013. During her Junior year, Meghan was on the Maine team, at the Women’s Division National Tournament in Long Island. Justine is currently a Doctoral Student in School Psychology at the University of Southern Maine. She is also working full-time with Seacoast Mental Health Center. She is entering her 9th year coaching with Lighthouse Lacrosse (formerly Seacoast United). Justine has experience coaching at all levels of the game (from college to youth) and enjoys bringing a high level of energy to all of her endeavors. During her playing days, Justine was an award winning goal tender receiving All-Conference honors at Stonehill College along with winning two NE-10 Conference Championships. A native of Derry, N.H. and a 2005 graduate of Pinkerton Academy, Justine played an intricate role in the Astros first State Championship. She was named to the All-State first team and Upper New England Team in 2003-2005, Received Honorable Mention All-American in 2005. 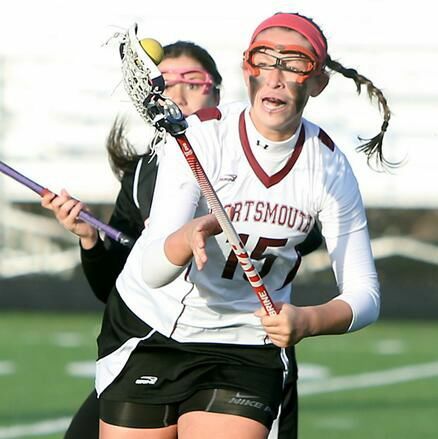 Justine currently resides in Portsmouth and thoroughly enjoys coaching the PHS girl’s lacrosse team since 2010. Michaela is a graduate of Portsmouth High School where she was a four year member of the women's varsity lacrosse team. Named All-State Honorable Mention as a freshman, she was a contributor to the 2011 and 2013 State Championship teams as well as a 2014 team captain. Michaela just completed her fall season as a member of UMASS Lowell women's lacrosse program. She is studying Exercise Physiology in the Honors Kinesiology program. Michaela is entering her third year of coaching with Lighthouse Lacrosse. 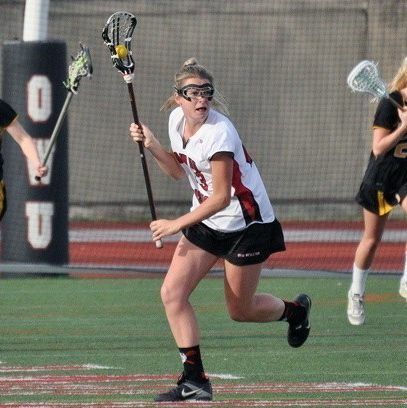 Eilee Foley is a Senior Captain and defensive player for the Ohio Wesleyan Women's Lacrosse program. She was a Portsmouth High School 4 year letter winner, 2 yr team captain & member of the 2011 undefeated State Championship season. 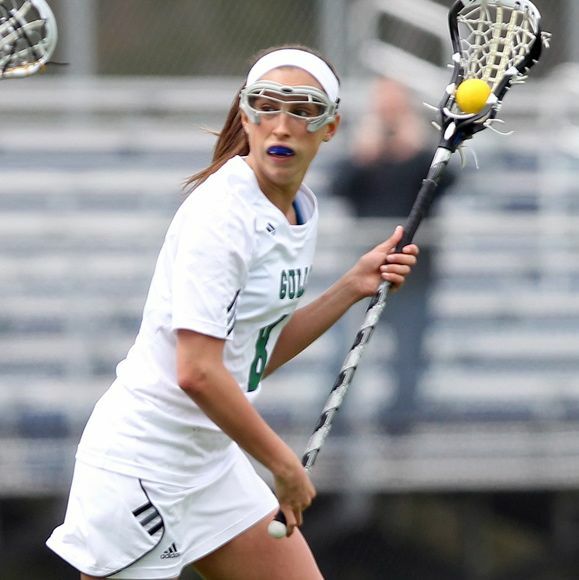 Emily is a former Lighthouse player who is now a starting midfielder for the 2015 Endicott College women’s lacrosse team where she currently has 92 goals in 31 games. During the 2014 season she was a two-time Rookie of the Week and named Second Team All-Pilgrim Region and First Team All-Conference. She was a four year starter and a two year captain for Portsmouth High School and a member of their 2011 & 2013 State Championship teams. She holds the scoring (263) & assist (155) records at Portsmouth High School. She was selected for the Upper New England Team, the New Hampshire All-Star Team, 2013 Spring Athlete of the Year, 2013 NH All-Star, & All-State First Team. Emily is an Elementary Education major who completed a year long internship with the Little Harbor School kindergarten program. She participated in Endicott's two-week trip to Costa Rica, is a member of the Executive Board for the Peer Leadership Volunteer Club, memeber of the Education Club, involved with the Amigos mentor program, volunteers with the Salvation Army, is a Student-Athlete ambassador, a Scholar Athlete and a member of the National Honor Society. Abby is a former Lighthouse player entering her sophomore year as a starting attacker for Emmanuel College women’s lacrosse team. Last season she helped lead her team to the program’s first conference title victory and reached the NCAA tournament. Abby attended St. Thomas Aquinas High School and was a four year starter on the varsity lacrosse team while there. As a junior she represented NH and VT the Women’s Division National Tournament and helped the team go undefeated. She was also the starting goalie of STA’s varsity soccer team for two years. Abby is majoring in History and entering her third year of coaching with Lighthouse Lacrosse. Graduated as the program leader for career ground balls (212), draw controls (147) and caused turnovers (126). Named to the 2009 Northeast-10 All-Tournament Team after helping lead the Penmen to the conference title game for the second straight season. Sophomore year she was a Northeast-10 Second Team selection. Julie was a 2005 graduate of Pinkerton Academy where she lettered in lacrosse, field hockey and basketball. She was an All-State selection in lacrosse helping lead the Astros to a state championship as a junior, and a National Honor Society member. Sam was a four year starter for Portsmouth High School, where she was leading scorer in both the 2007 and 2008 State Championship seasons. 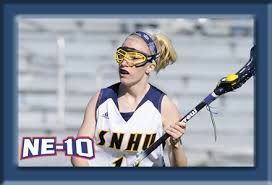 Sam was named to the 2007 and 2008 NH All-State 1st team and as a sophomore and junior was on the National Women’s Tournament Team - Upper New England. Samantha received the Coaches’ Award (2007) and the Mayor’s Award (2007 & 2008) and was also named to Foster’s Dream Team both years. Sam also received the NH High School Female Athletic Academic Award. Sam has been a coach with the Lighthouse Lacrosse staff for the past six years. PROFESSIONAL: Samantha Whitney graduated from Ithaca College in May 2013 with a bachelor’s degree in Heath Promotion and Physical Education. 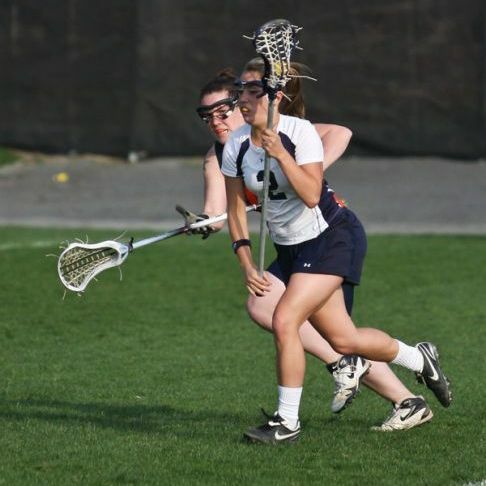 During her undergraduate at IC she was a member of the Ithaca Women’s Lacrosse team. She gained knowledge and experience through student teaching at Candor Elementary school and teaching physical education & health education at Newfield Central School. Sam recently received her master’s degree in health education from Ithaca and has accepted a position at North Reading in health education. Tatiana Bradley played with Lighthouse for 3 years before joining the coaching staff for her first time this year. She graduated from Berwick Academy in 2015 on a team who won their league championship for 3 years in a row. 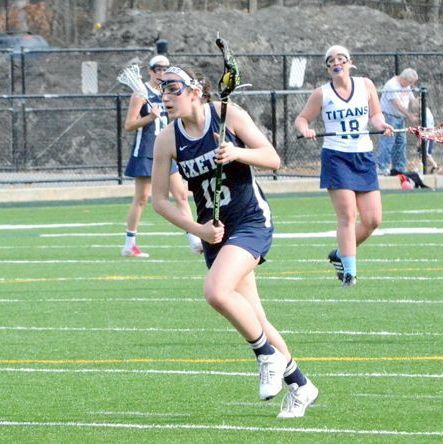 She was awarded the EIL All League Award her junior and senior year, the NEPSWLA All Star award her senior year, and her teammates voted her MVP her senior year. Tatiana just completed her freshman season at Hamilton College this past spring. Kristina has been a member of the Lighthouse family for the past 6 summers. She was a 5 year member of the Exeter Youth program and a 4 yr starter on the Exeter High School team. She was selected for the All State Team her sophomore year and played on the Women’s Division National Team in both her sophomore and junior years. She has just completed her freshman season as a River Hawk season at University of Massachusetts at Lowell, where she is studying Exercise Science. FRESHMAN CAMPAIGN (2016): Made 15 starts in 17 appearances … second on the team with 14 goals … third on the team with 15 points … added one assist on the year… tied first on the squad with six free position goals … collected 15 groundballs and caused seven turnovers … netted her first career goal against Dartmouth (2.20) … posted a personal-best five points (4g, 1a) against Siena (3.2) … named America East Rookie of the Week and River Hawk of the Week (3.7). HIGH SCHOOL: Played four years of varsity lacrosse at Exeter High School in Exeter, N.H. … earned the teams Coaches Award senior year … named to the All-Star Twin State Team once, the National NH/ VT Second Team twice and the All-State Second Team three times, throughout high school … lead her squad to a second place finish in the New Hampshire State Championship senior year … team MVP sophomore year … honor roll student all four years … also ran Cross Country and Indoor Track … played for Lighthouse Lacrosse out of Portsmouth, N.H.